This Modena Balsamic Vinegar is obtain from acetified and fermented Trebbiano and Lambrusco grape musts. It is aged for 15 years in precious wood barrels: sessile oak, chestnut tree, cherry tree, ash tree, mulberry tree, locust and juniper tree. 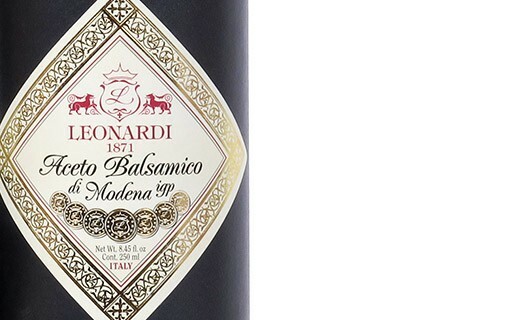 Leonardi Vinegar is synonymous with tradition and passion in the heart of a family that accompanies since 1871 "Balsamic Vinegar" until the age it reaches balance of intense flavors. Tradition requires the production Modena Balsamic Vinegar to be put in wooden barrels, each used for specific purposes: acidification, maturation and aging. 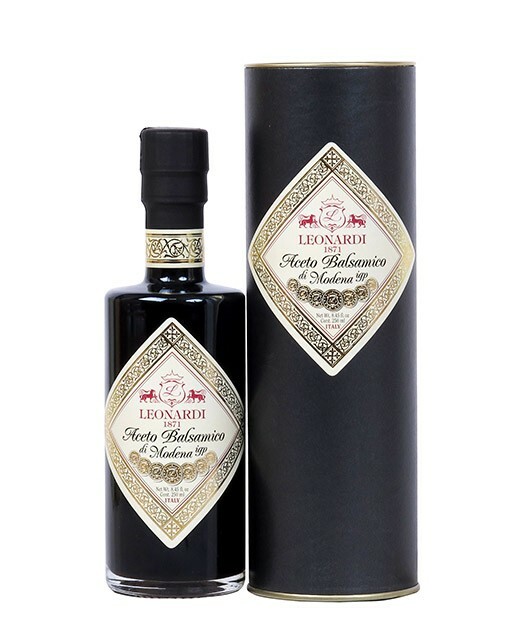 During this last phase that each barrel gives fragrances and flavorings that make Leonardi Balsamic Vinegar unique and inimitable. If you're still not convinced, know that Leonardi is served at the Palace of Monaco, at the Elysee as well as in many starred restaurants.